LG’s follow-up to the G3 isn’t expected to arrive until sometime next year, but a report on Wednesday may have unveiled the upgraded camera that LG plans to include with its next generation flagship phone. 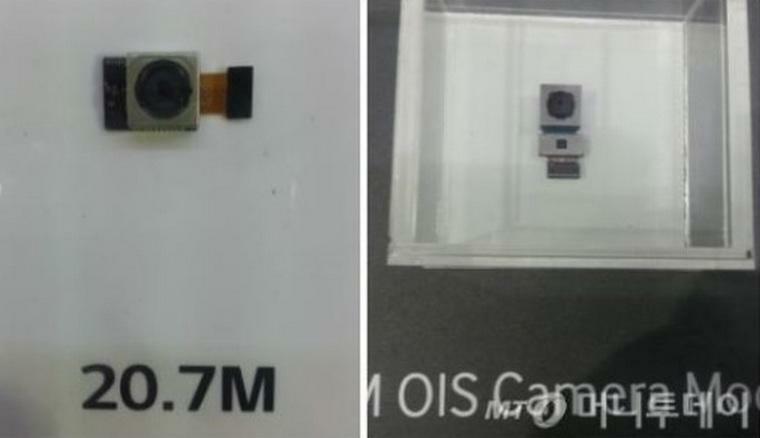 The LG G4 (or whatever LG ends up calling it) will apparently feature a 20.7-megapixel camera with upgraded optical image stabilization, according to a report from Korean news site Money Today. Specifically, LG’s new camera module features an increased correction angle of 0.7 for stabilizing shaky video and snapping quick photos—up from 0.5 on the G3. Meanwhile, that 20.7-megapixel camera is a pretty big step up from last year’s 13-megapixel shooter, which we actually thought did a pretty great job. The upgrade would put the LG G4 on a par with Sony’s flagship phones, which offer some of the best Android photography around. We’re still a long way off from the LG G4, and it’s way too soon to make any real predictions about what else the rumored smartphone could offer. The G3 made it’s debut in late May 2014, so we expect to the G4 to arrive in May of next year. A lot could change between now and then, though hopefully LG doesn’t backtrack on the new and improved camera just unveiled.